Former Newcastle United defender Olivier Bernard has stepped down as chairman of Northern League Division Two strugglers Durham City. The former France Under-21 international has been club owner and chairman since December 2013, but his involvement will now be limited to an advisory role after an increase in his day-to-day work commitments. Speaking to the Echo, Bernard said: “There has been a change in my work commitments, and unfortunately I have had to take the decision to step down as Durham City chairman. “I know that the people that are on the committee will continue to work hard to get the club to where it should be. The Citizens have announced that Gary Hutchinson will take over from Bernard as chairman and he is one of four new appointments. Paul Trotter has been named as vice-chairman and Fred Usher has stepped up to the role of club secretary. Another key off-field role has been filled as Anthony Stubbs joins the club as business account manager. Hutchinson commented: “It was a real honour to be offered the chance to become the club chairman by my fellow board members. “I know it will not be an easy task, but it is one that I will relish. Olivier has stepped down but, he will remain connected with the club in an advisory role. It has been a difficult season for the Citizens, who sit at bottom of the Division Two table after winning just two of their 26 league games. They are even points adrift of Brandon United and are on a run of 17 consecutive defeats. 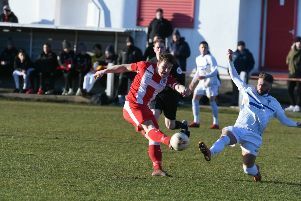 The club have been frustrated in their attempts to secure a return to Durham after spending the last three years playing at Consett’s Belle View and their current temporary home of Willington’s Hall Lane. Hutchinson admitted that securing their Northern League status and a return to their home city were top of the agenda for him and the club’s new-look committee. 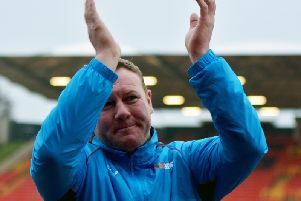 “Our two main aims as a club are to stay in the Northern League and avoid relegation and secondly to get back to Durham or a venue as close to the city as soon as possible,” he said. “I look forward to working with Fred, Paul and Anthony to try and achieve both of those aims and to take this club forwards. The Citizens resume their Division Two campaign on Saturday when they face league leaders Billingham Town at Bedford Terrace.